Perfect tone-setter for this page, so let's get started! 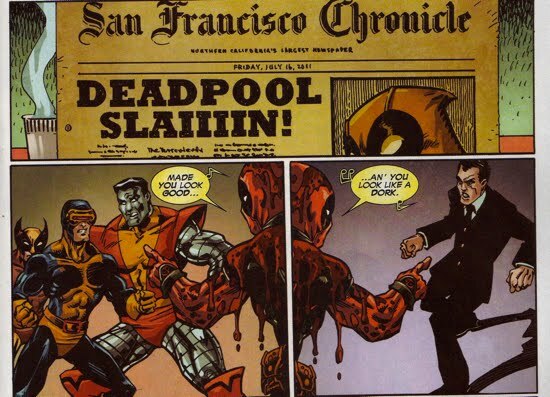 The irony of the bitter mutual-hatred between Deadpool and Norman Osborn is that when they first met in Deadpool #11, the merc with a mouth actually saved Osborn's life! 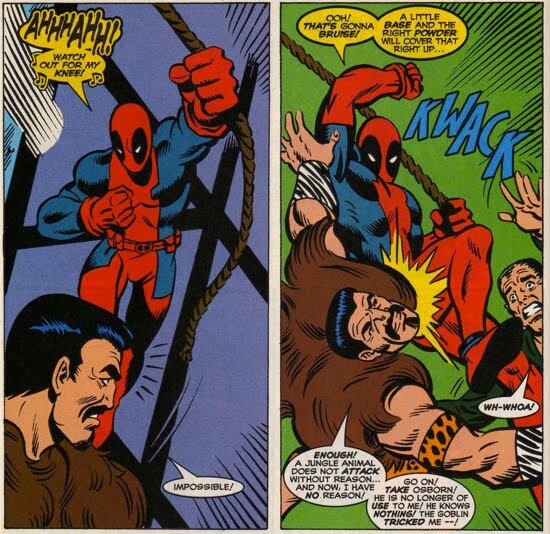 You'd think that would make them friends forever, but there's a caveat...Deadpool only saved his life because he had been transported back in time (to around the time of Amazing Spider-Man #47) and he did not want to disrupt the timeline. 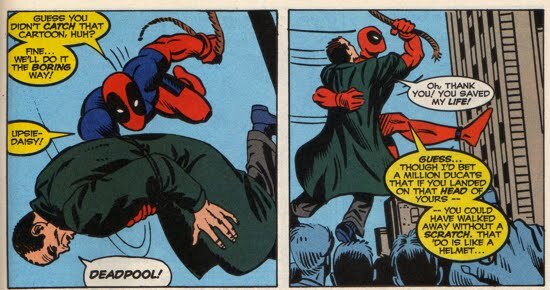 Thus he was forced to repeat Spidey's actions from back then. Sound confusing? Let's go through it a bit more slowly. 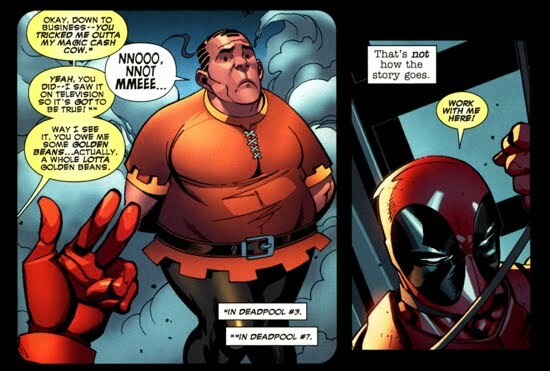 After a 'caustic temporal collision', Deadpool and his cohort Blind Alfred (who is actually a woman) are sent whirling through space-time and crash (literally) right on to Peter Parker's front porch...nearly killing Aunt May. 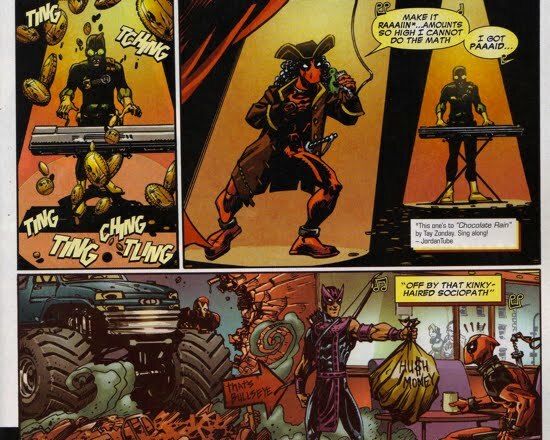 Eventually Deadpool's allies, led by his scientific buddy Weasel, are able to send a note to Deadpool (through a wormhole created by the Doorman...long story) that provides him directions on how to return to the present time. He would need to activate his transporter at midnight that night, the only problem was that he had some time to kill and was forced to go undercover as Peter Parker. 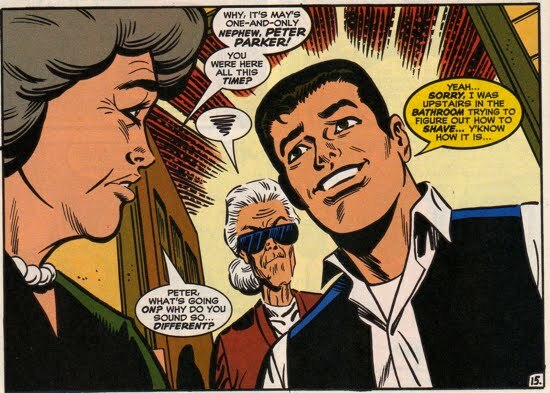 He pretends to be Peter, whilst Blind Alfred takes on the role of Aunt May, and he begins a charade that starts with fooling Anna Watson...and some serious hijinks ensues. 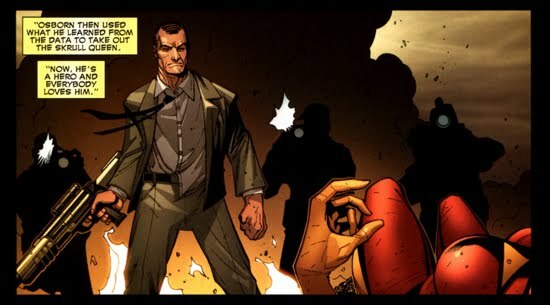 Here ya go, the infamous 'first meeting' between Norman Osborn and Peter Parker...but wait...did Norman actually meet Deadpool instead of Peter Parker?? This where its gets interesting. Weasel was in competition for a job at Osborn's company and other competitive applicant was none other than Peter Parker! 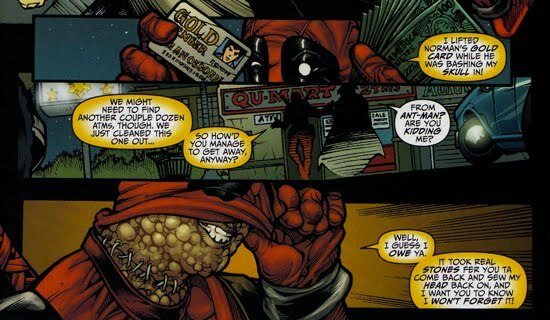 In order to get Jack Hammer to become the modern-day Weasel, Deadpool sabotages his chances at getting that job at Osborn's company. 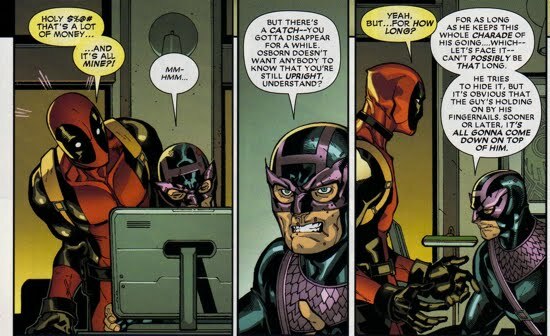 Deadpool basically tells Osborn that Jack is an alcoholic who needs clinical help. 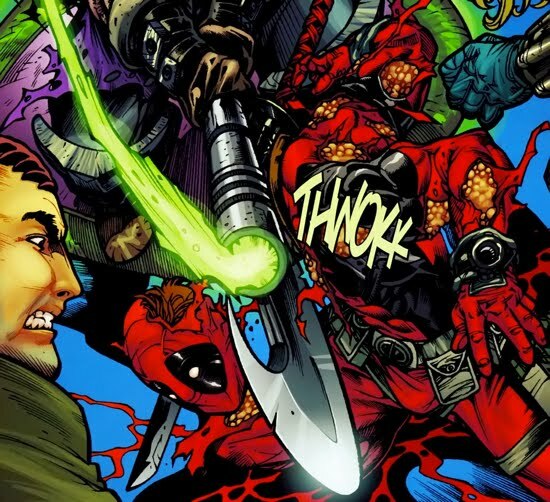 This sends Jack Hammer on a path to become Deadpool's scientific ally, Weasel. 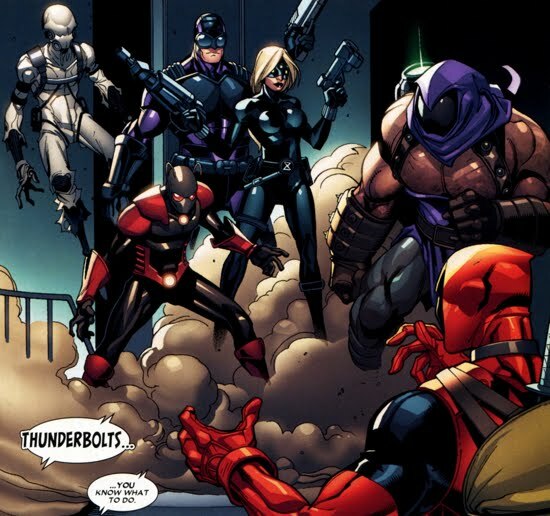 Eventually Deadpool and his crew would make it back to their original timeline and all is well with the universe. 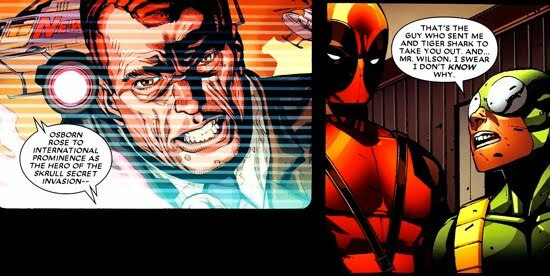 Many years would pass before Norman and Deadpool would cross paths and it gets ugly from here. 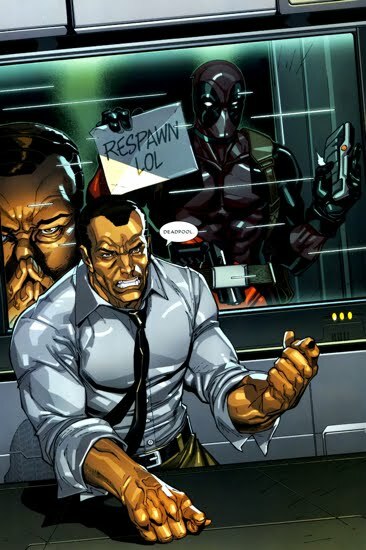 During the Skrull Invasion (aka the Secret Invasion), Deadpool was tasked by Nick Fury to retrieve data from the Skrulls. 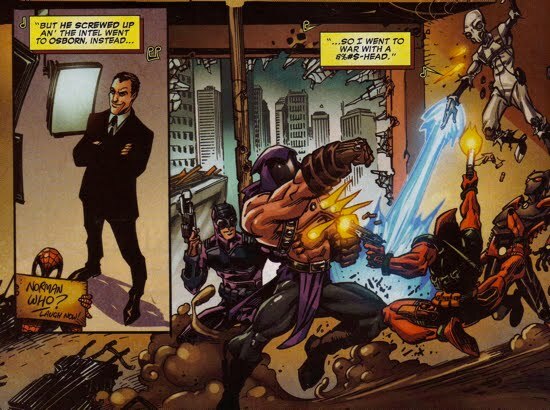 In the process of transmitting that information to Fury, Norman Osborn was able to intercept the transmission. This enabled Norman to rise to prominence once he killed the Skrull Queen. 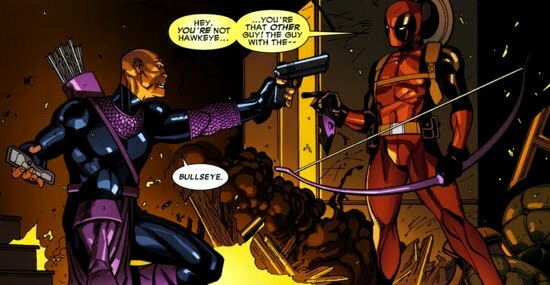 Once Osborn realizes that Deadpool wasn't killed he steps up his game and sends his most lethal assassin, Bullseye, to do the job right! 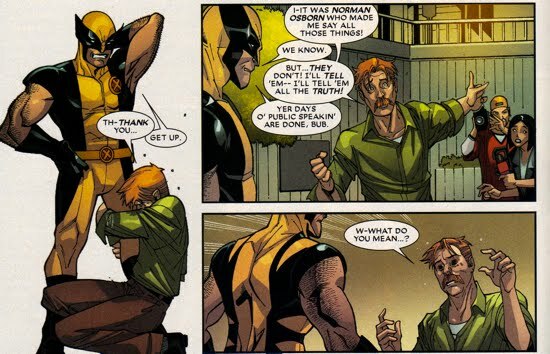 However, Osborn was not able to swing public opinion in his favor against the X-Men because Kincaid unveils that Osborn was behind his public tirade the entire time. 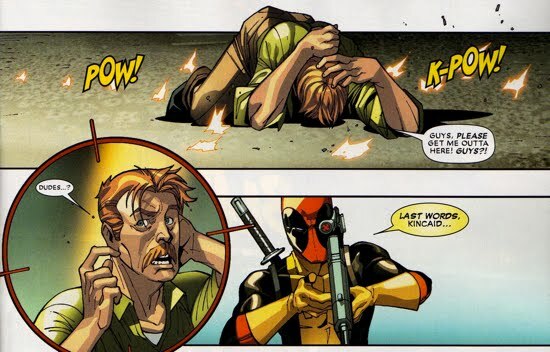 Not to mention that Deadpool had no intention of killing Kincaid, he was actually creating a scenario (ie, his 'plan' to kill Kincaid) that would allow the X-Men to step in as heroes and look good. 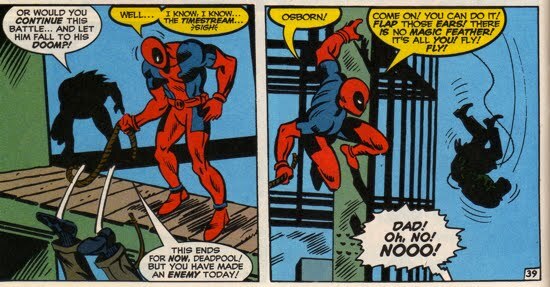 In fact, Deadpool actually shot the assassin that Osborn had put in place to kill Kincaid. Job well done! 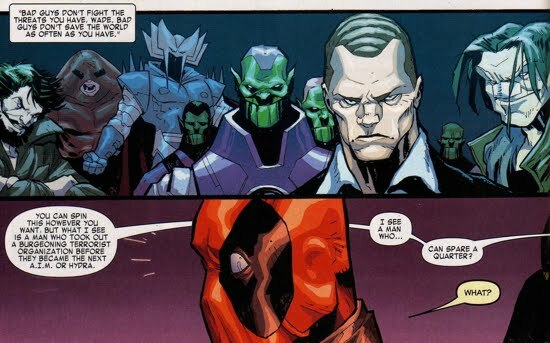 Later, in Deadpool Corps #1, Norman Osborn was front and center as Deadpool reflected on the true-villains of the Marvel Universe (and whether or not he is one of them)...is that respect?? That's it for now, if ever these two should come in contact with each other again, we'll be sure to add to this page!